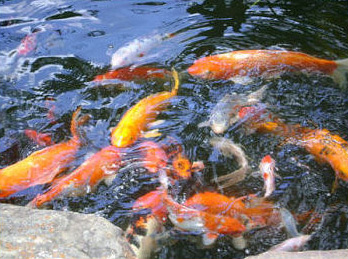 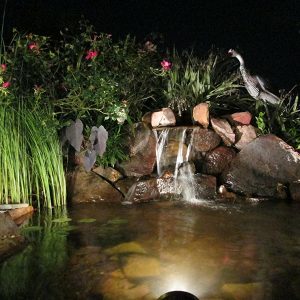 Commercial and residential koi pond and water garden design, installation, and maintenance. 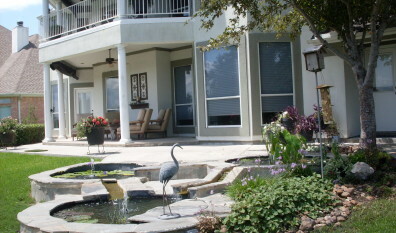 Serving Metro Houston Area including: The Woodlands, Bellaire, Tomball, Memorial, Lake Conroe, River Oaks, West University, Galveston and more! 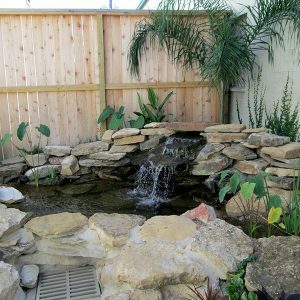 Aquafeatures of Houston has a genuine passion for water gardens that are truly unique. 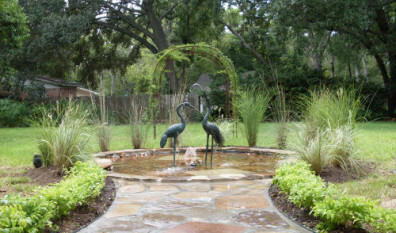 With a creative, artistic approach and 30 years of hands-on experience, Aquafeatures of Houston will design and professionally install a water garden, koi ponds or water features for your home or commercial property. 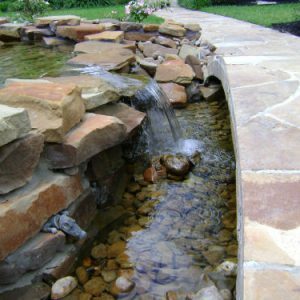 The beauty and tranquility of your water garden or koi pond can be further enhanced with custom landscaping or hardscaping such as stonework, decking, patios or walkways. 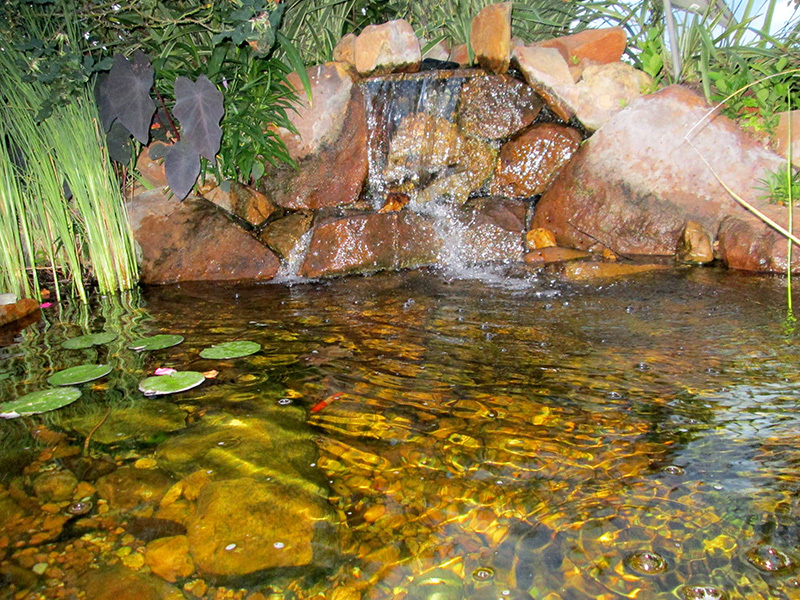 Our knowledge and awareness of the eco-system enables us to provide you with water gardens or koi ponds that essentially takes care of itself over longer periods of time. 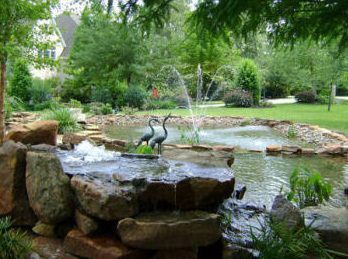 Pond cleaning is of utmost importance to the health of your pond’s eco-system and also helps to maintain the durability of pumps and lighting. 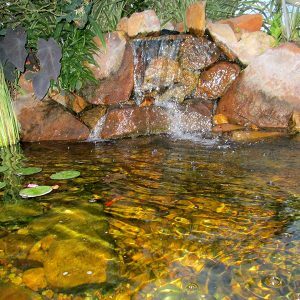 Aquafeatures of Houston is an official supplier of top of the line products, fish and plants from Easy-Pro, Brass Baron, Nelson Water Garden/Nursery, Garden Accents, Aquascape Design and many more. 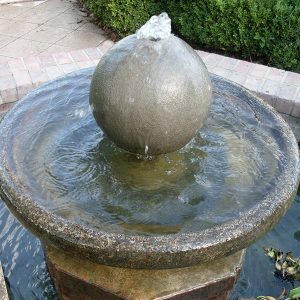 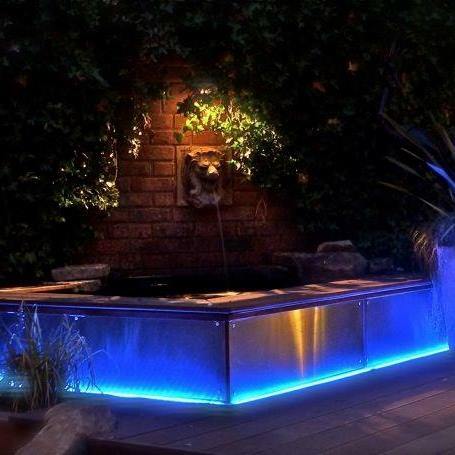 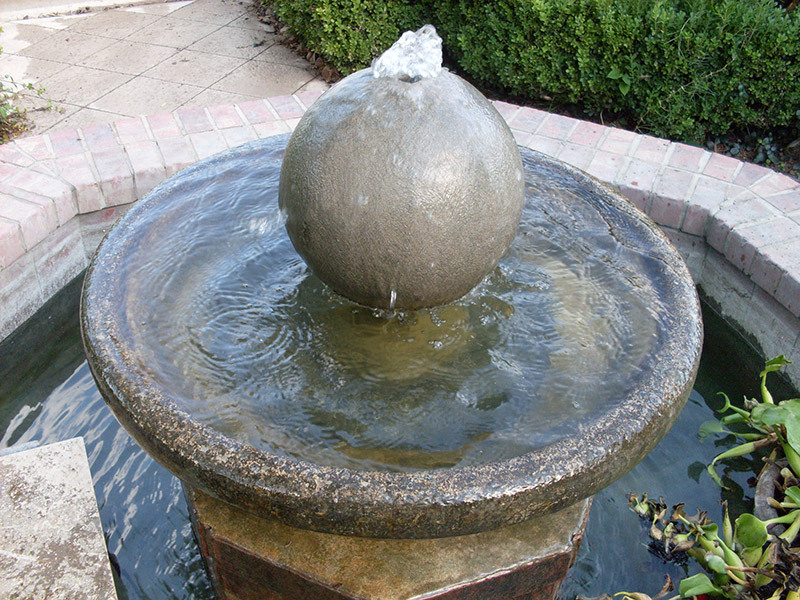 With 10% off their retail price when ordering, competitive pricing, and pick up and delivery services, Aquafeatures of Houston is your full service water garden and design source. 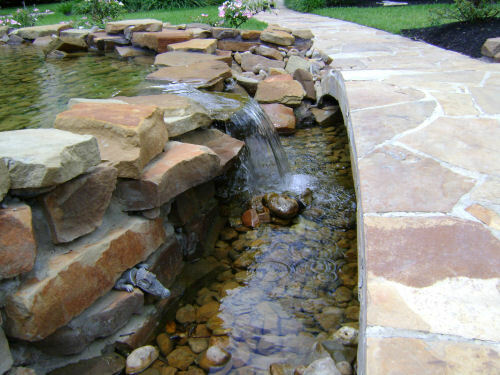 Aquafeatures of Houston uses only high quality supplies for all installations, maintenance, and repairs. 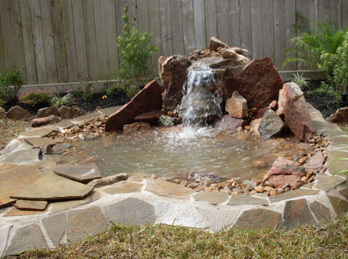 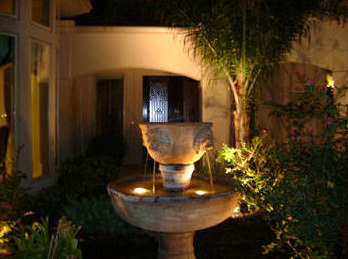 If you have a water garden area in need of cleaning, have fountains or lighting in need of some TLC, or are ready to have your new indoor or outdoor water garden created, contact Aquafeatures of Houston. 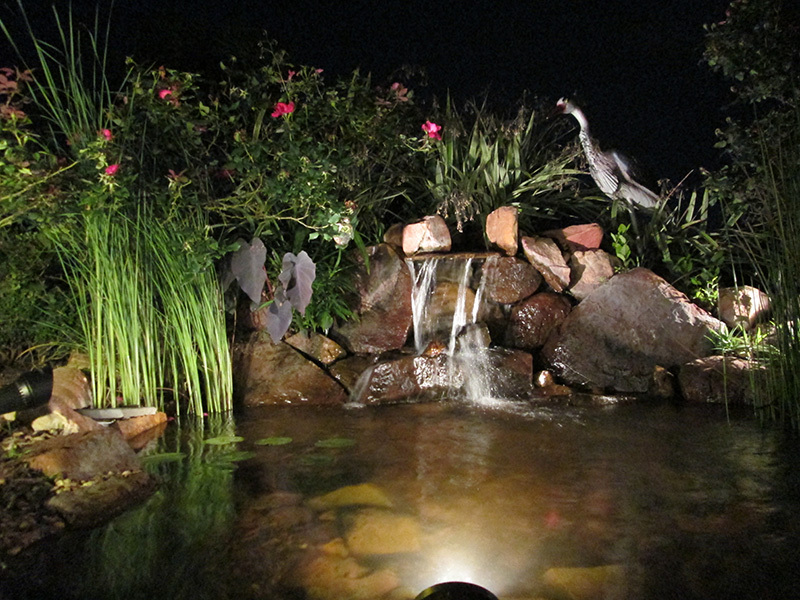 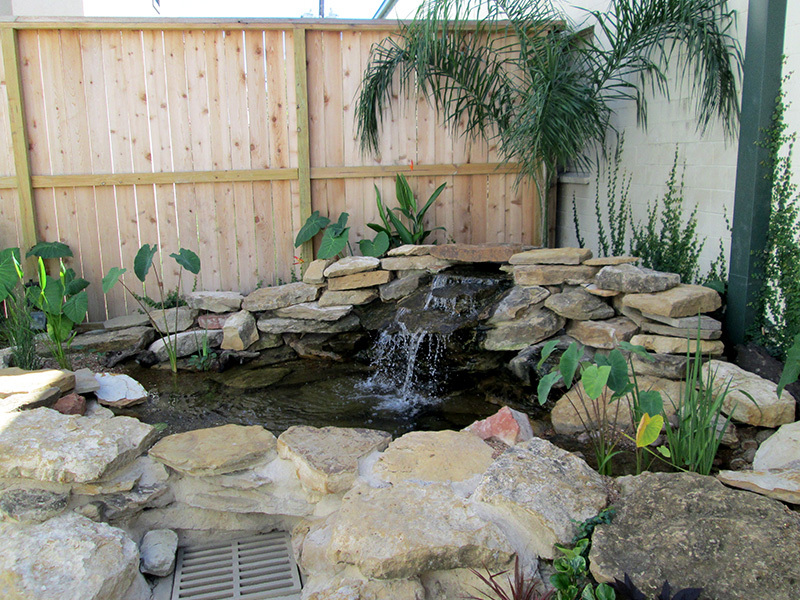 Let Aquafeatures of Houston provide you with a custom water garden or koi pond design and installation today!